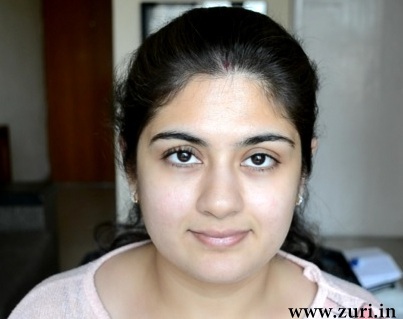 Makeup Basics – How and why we need to use an eyelash curler. A friend of mine once mentioned that an eyelash curler looks like a surgical equipment or a torture device. At first I laughed it off, but after a while I encountered many women who felt the exact same thing! Some women cannot live without them (once they know how to use them efficiently), but many people don’t bother. 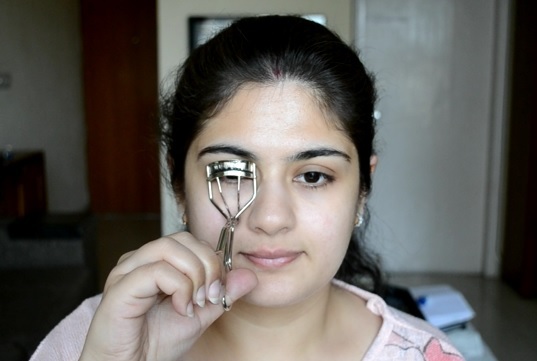 So here’s a simple guide on how, why and where should you use the eyelash curler. Do you honestly need an eyelash curler? What is the point? Most women who wear eye makeup on a regular basis, wish for longer and fuller eyelashes as they give the impression of bigger eyes. Not everyone’s lashes are the same – some are either long or short, some are thin or thick. But sometimes simply using mascara isn’t enough! Many people have poker-straight lashes, and even when mascara is applied they don’t show up the way they should because they have no curl! 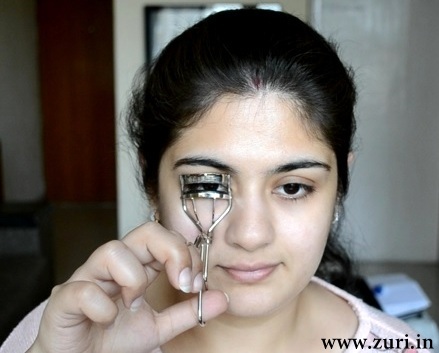 How do eyelash curlers work? Use the index finger and thumb to open the clamp, and place it over your eye, so that your upper lashes go through the opening. Close the open clamp, getting as close to the roots of the lashes as possible for maximum curl. If you place the curler away from the eye, you will be curling the ends, which will be of no use. If you squeeze and it hurts, you are too close to the lid. Instead of squeezing hard once, squeeze gently, pulsating a few times (opening and closing lightly and quickly). Take a 30 sec break and repeat once more. Do not use the curler after you’ve applied mascara. If you do curl them with mascara on, you’ll cause horrible clumps hence causing them to break! Ouch! In case if your lashes do not curl even after using the curler, try blasting your eyelash curler with your hair dryer on high heat until the curler is heated up. Wait until it cools slightly but is still warm (you don’t want to be sure not to burn your eyelid skin), and then clamp down on your lashes to curl them.